If you're coming to stay in a holiday cottage in North cornwall, you'll probably want to get out and explore the local area, and whilst it's easy to jump into the car and drive around sightseeing, one of the best ways to really appreciate the scenic beauty and natural diversity of North Cornwall is on foot - whatever the weather - or time of year. So don't worry about your fitness or age, just remember to pack your walking shoes and all weather gear, and come and explore some of these wonderful local walks in North Cornwall near Rooky's Nook, - ranging from easy to challenging, with varying distances - and different attractions (inland, coastal, national trails, village, etc) - including many dog-friendly walks! Delabole and Delabole to Lanteglos (Inland, Moderate) - both walks closest to Rooky's Nook! Walk out of the cottage (Rooky's Nook), down the lane into Newhall Green, into the 'bluebell woods' at Helland Barton, along the valley and up to Delabole, to the quarry (famous for it's distinctive black slate). Then walk around the top of the quarry on the old cattle droving track, and enjoy great views across the Allen Valley towards Rough Tor. 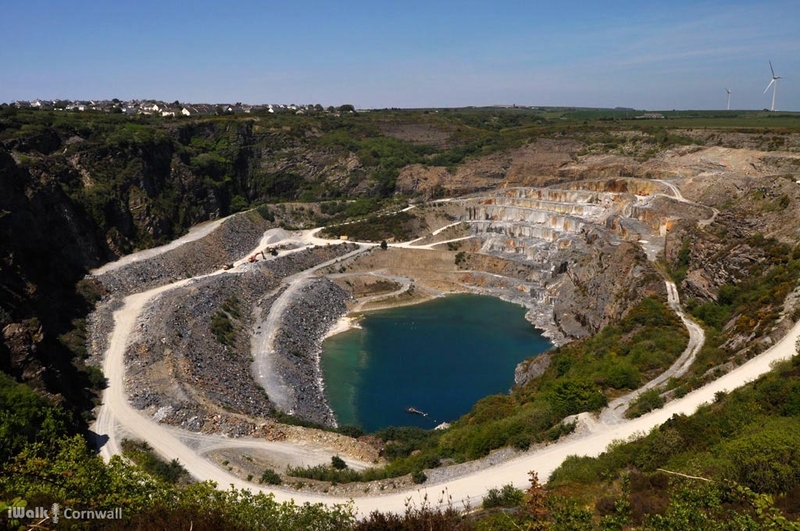 - And rumour has it, apparently the water level in the quarry moves with the tides! 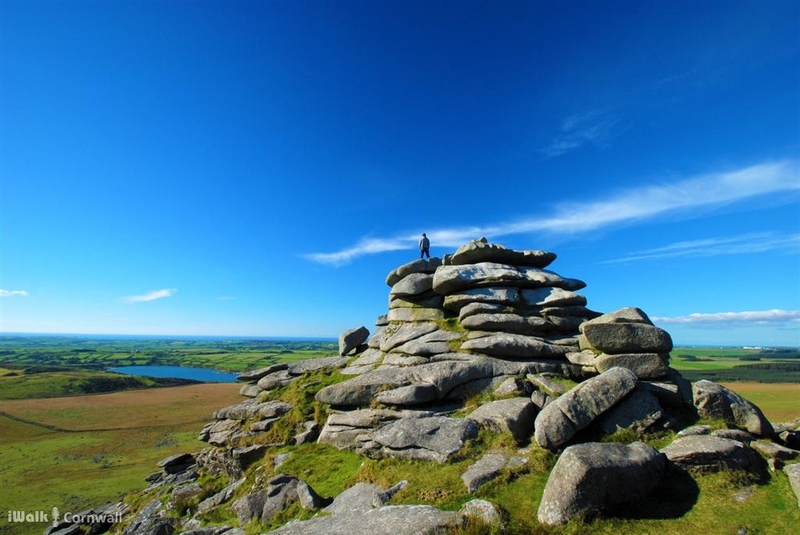 Rough Tor and Brown Willy (Inland, Moorland - Moderate) Climb Cornwall's most iconic and rugged Tor, and enjoy panoramic views from the summits - Cornwall's twin peaks! Brown Willy is 420 metres high and is the highest point in Cornwall. On a clear day you might be able to see both the North and South Cornish coastline! A Dog-friendly walk, but please remember to keep your dog(s) away from the sheep and ponies grazing on the moor. 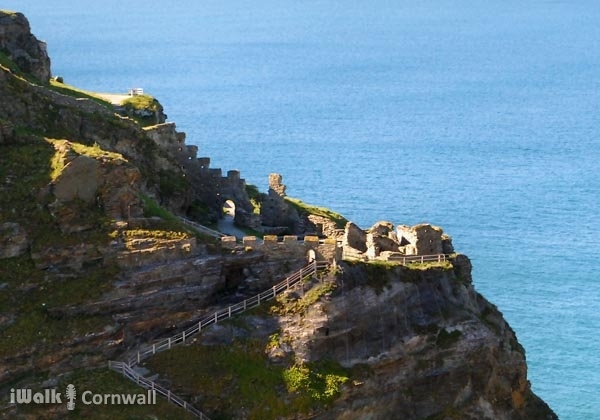 Trebarwith Strand To Tintagel (Coastal/Inland, Church, Castle - Easy Moderate - Circular Walk) Enjoy fantastic views out along the coastline, past Materiana Church,Tintagel Castle and Merlin's Cave, before coming inland to the medieval 'Old Post Office' and King Arthur's Great Halls. Return via Treknow - one of the oldest slate quarrying villages in North Cornwall - (and one of many local coastal quarries who originally used Trebarwith Strand to dispatch their shipments of slate). Another dog-friendly walk - especially when the tide is out and you can run your dog on the sandy beach at Trebarwith Strand! 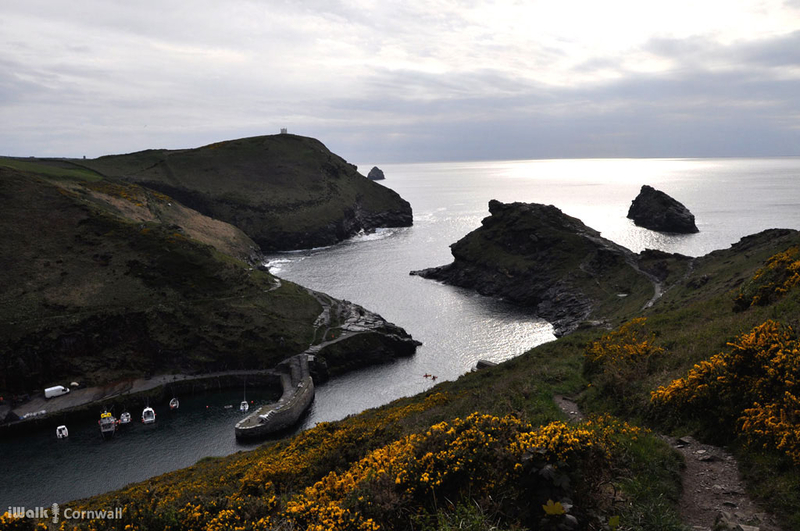 Boscastle (Coastal, Village, Church: Moderate) Enjoy panoramic views over Boscastle fishing village and harbour from Penhally Hill, and also along the coastline from the Willapark Coastguard Lookout on the clifftop. Then walk beside the medieval field system (known locally as 'The Stitches') on Forrabury Common, close to Forrabury Church. Another dog-friendly walk, again 'respecting' local livestock (cows and ponies) grazing on the headland. Polzeath to St Enodoc Church - Including Daymer Bay. (Coastal, Church: Moderate) - One of my favourites, whatever the weather, all year round! 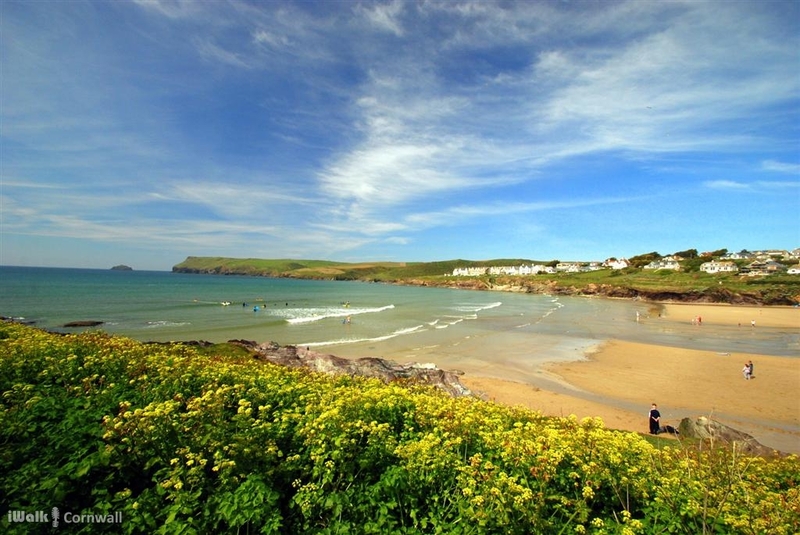 Enjoy panoramic views across Polzeath beach, Daymer Bay and across the Camel Estuary to Stepper Point. Make your way through the sand dunes by St Enodoc 'links' Golf Course, and Church - the burial place of Sir John Betjamen. Finally return to Polzeath and the surreal purple-and-green-striped rocks and shipwreck remains around Trebetherick Point. Whilst Daymer Bay is dog-friendly all year, please remember there's a dog ban on Polzeath beach in peak season (From Easter to 1st October). 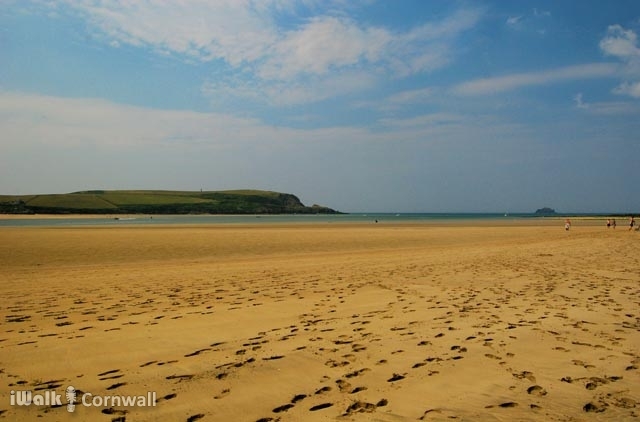 Dog Walks In North Cornwall - courtesy of South West Coastpath, whose origins lie in North Cornwall’s smuggling history, when it was used by HM Coastguard to patrol the cliffs and provide easy access to the numerous bays and inlets along its coastline.